For a startup company it is necessary to understand the value of their investors. An investor is a person or a company who will be funding a venture capital for a certain project and involves in presenting a graph of profit and loss ratio. An investor whose venture capital is utilized for the successful launch of a product or business can be fund back in terms of its success ratio. To find investors to sponsor their business with the venture capital needs an execution plan. To get the attention of an investor, a proposer needs to understand the exact element to impress an investor. By studying the needs of an investor, a proposer needs to execute a perfect plan of execution for the investors. There are several ways to get noticed by an investor and here are some of the ways to follow to get an attention of investors. To find investors, a proposer needs to understand the plan to be executed. By studying all the elements of the approaching plan and executing it in a way that the investor would be thrilled to invest in such plan. It is possible that sometimes to get an attention of the investor, the proposer needs to work very hard, but it’s not that tough either if a person who is proposing the plan will be prepared with all the odds of the plan or project. While discussing a plan for projection, a proposer need to create a small survey regarding the plan or a project. This survey can be helpful for the proposerity of that plan to get a clear idea about the value of their plan in terms of its successful response. This kind of response can be helpful to present a plan in front of the investor, to assure them with the execution plan which can never go wrong and it will be a successful launch as well. A team which is planning to pitch their business idea to an investor need to be prepared with all kinds of negative response for their business plan. Therefore, to be on a safer side the group proposers need to design such a business plan where a profit will be assured with minimal risk ratio. This kind a plan can attract new investors for the plan and if all the proposers could get a chance to study about their investor then it will be considered as a lifetime chance. If a design of the plan or project and the execution of that particular plan is very weak then it is possible that because of bad execution, a proposer lost their investor in a second of a presentation. Hence, it is very important to present or execute a plan in a way that the investors should be very much impressed and interested to invest in such startup business. A great execution plan can be derived from the greater expectations. Pitching a plan to the investor may seem as pitching a plan to our own customers to make sure that at the end of the season they should be interested in buying such products or services. Recent development in technology can be helpful to involve technical aspects in an attractive presentation. Therefore, it is very important to approach an investor in a very innovative manner, and now a day creativity gets an extra credit point in terms of the business plan. To create a network to attract an investor, one must understand a thing that only way an investor can be approached through social networking. There are several types of business parties where all the businessmen come and celebrate their success. A startup business venture needs an investor and to grab one investor, a proposer needs to be smart enough to handle their requirements to make sure that they end up investing in one’s business. A startup businessman should be energetic and never let anything in their way of success. Eventually there may be a possibility of hard times, but a person having strong will, never be broken until he / she gets to taste the successful career or business. To approach a plan to an investor, a proposer need to be well informed about the recent activities going on in stock or business market. 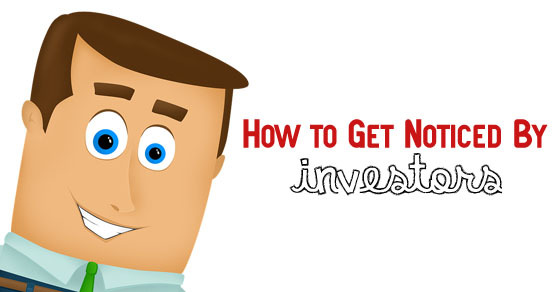 This information can help him / her to create a better relationship with an investor. By building networks of investors, a proposer can be exposed to a large number of possibilities to approach his / her plan for the business. To be a successful businessman a person need to be well connected will all the people in the business. A smart businessman can handle any kind of crisis or problem caused by any kind of sources. And if a problem turns itself ugly then a businessman should know how to handle such problem by using his / her networking. As mentioned earlier, while approaching an investor a proposer needs to be prepared with all kinds of odds. A proposer should be a person who can handle any kind of doubts or problems. He / she should have a problem solving ability. These kind of preparation can help a proposer to attract a large number of investors who will be interested to invest in their business. Therefore, by being fully prepared for any kind of odds a proposer can attract an investor. It is very common to understand that all the investors normally are very busy with their schedule and it is very difficult to get a meeting to discuss a business plan with them. And it is better to use a small period of time to approach an investor in a very concise manner. A smart proposer can approach his / her plan in a fraction of seconds by using a smart way. Therefore, keep a concise approach to attract an investor to invest in a business plan. As mentioned earlier, an investor is a tough cookie to crack and to make him / her crack, a proposer need to use all the technical elements to grab his / her attention. And they are as follows. To attract or find investors, a proposer need to create a plot where an investor should come without any extra efforts. To make that happen, they need to start advertising their previous successful venture online so that an investor should approach them as soon as possible. And this method can not just attract an investor but it can create a network of investors as well. To make an investor to believe a business plan, a person need to subscribe to an online database where an investor can find all the details about the business without any issues. And this online database can help an investor a time to think about all the varieties of issues which is most possible to be approached during this business venture. By creating a business blog to provide information about a new startup business can attract large number of investors to that business blog in which they can check all the upcoming details about the new ventures. Through this online business blog a proposer can access number of investors without an extra effort for providing certain meetings or calls. Creation of a blog takes a business to a level where a businessman will create an advertisement for his / her business through social media. An investor can approach such business through online media, which provides all the information about the business and their cash generations. It is advisable to provide cash generation information online through certain security system. As mentioned earlier, one can follow all the above mentioned offline approaching system of an investor. This can help a proposer to occupy all his / her investors offline and online as well. And provide a secured structure of the execution of a business plan. To end this discussion, we would suggest that an investor is a person who can invest an amount in a business to make sure that it earns good profits. It is very hard to get an attention of an investor but not impossible. A venture capital needs an investor to be approached in a manner that the investor who have been approached to invest in that business should end up investing in that particular proposal. Therefore, to find investors a startup businessman need to follow all the above mentioned techniques to make sure that he / she is getting noticed by an investor.